I mentioned a few weeks ago that we converted a bit of yard-space into raised beds for growing food. We got everything in the ground and it has pretty much all “taken”. If you have never tried, stuff grown in your own garden is far superior to food you buy in a store. I don’t know if it is due to the extra talking-to gardeners give their plants or if it is the extra-special compost we add, but homegrown veggies are just the best! 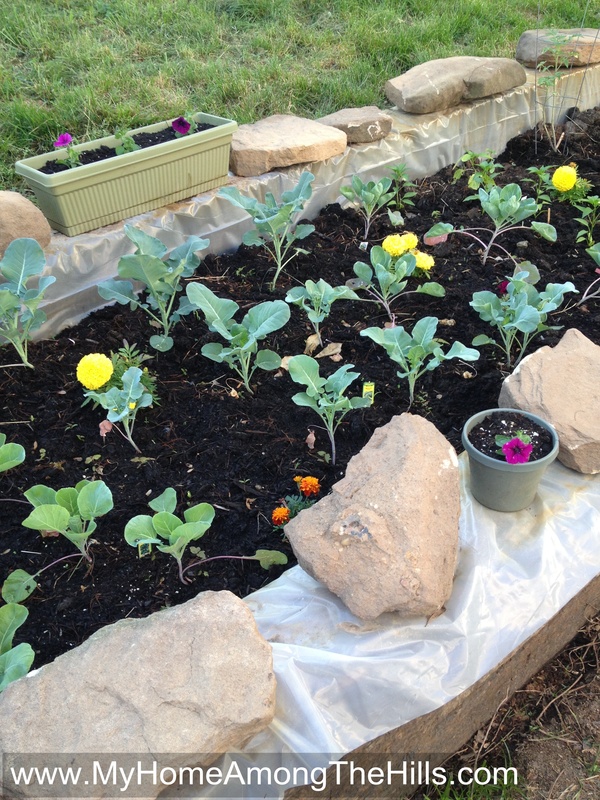 Broccoli and tomatoes and Brussels sprouts and peppers growing! Perhaps my favorite garden veggie and the one that is most distinct in taste from what you buy in the store is that magnificent little delicacy most people call broccoli. Raw broccoli is better, cooked broccoli is better, and deep-fried broccoli is better! It is sort of magical as it grows. The plant first sets really nice leaves that are a little hard to distinguish from cabbage or Brussels sprouts (my second favorite veggie!) or cauliflower. So, if you garden like I do, sometimes it is a bit of a mystery which plant is which as they become jumbled in the frenzy to get stuff planted. But one day as you check your garden, you notice a little green bush growing in the center of the stalk of leaves. It quickly grows into a little broccoli head and then that grows and grows and before you know it, you have a magical head of broccoli! I was so pleased to see the first few heads present themselves and now they are growing like mad. 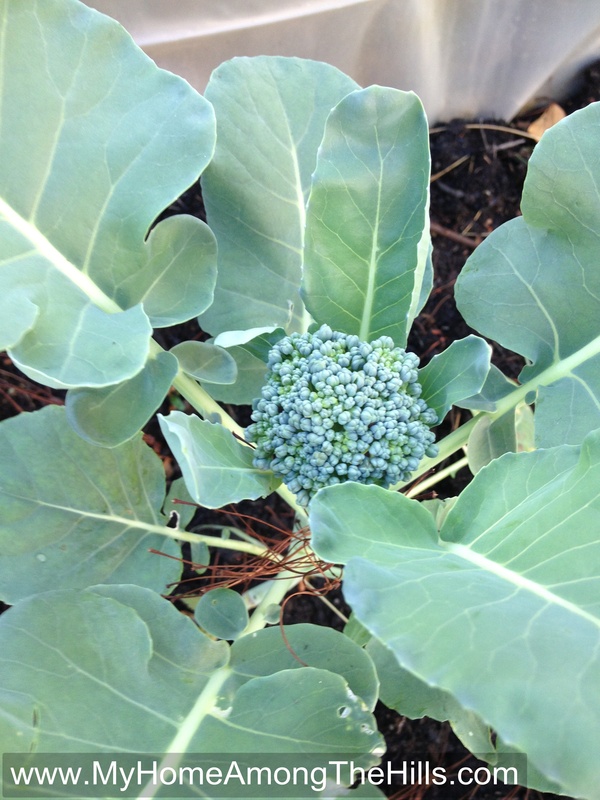 In a few weeks I will take the first heads from the garden and we will make entire meals of broccoli! The coolest thing is that when you cut one head, two more come to replace it. Broccoli keeps making heads to replace the ones that were removed. The plants looks a little Frankensteinish after a cutting or two so, to preserve my children’s sanity, I don’t cut too many heads before we retire the plant to the compost pile in the sky. Until then, however, we delight in the glories of home-grown broccoli! I think that the extra flavor from home-grown is due to the fact that you can harvest when it’s in its prime, rather than harvesting green and chemically preserving it. I hope my garden manages to give us a few offerings this year. It has been extremely wet here for the past month. It’s finally time for you to get a rabbit or two. When you weed your garden you can feed it to your rabbits. Let that broccoli plant grow and feed your rabbits everything you don’t eat. Same with most of the plants you can grow in your garden or lawn. Grass clippings and leaves are good rabbit food also. When your garden is done you can decide to keep or eat the rabbit. Fresh, clean, healthy, white meat. 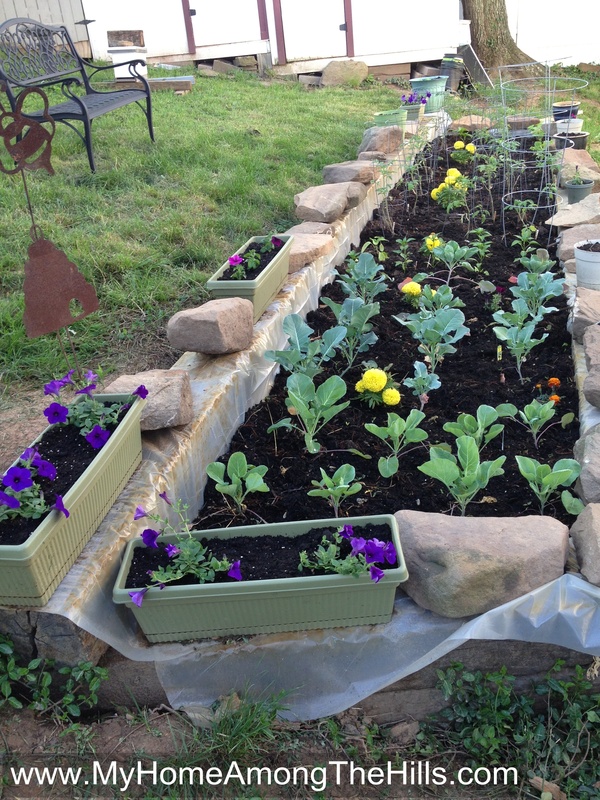 We have never grown broccoli, usually just tomatoes and zucchini and peppers. I didn’t know when you cut it 2 heads grow back either. This year Hon…I mean Butch, is trying basil because he and Mousey enjoy a good pesto. We shall see.